To study vessel regulation, my laboratory primarily focuses on the identification, characterization and delineation of enhancers (cis-regulatory elements) directing gene expression within the vasculature. Enhancers are densely clustered groups of transcription factor binding motifs and are the principal regulators of spatio-temporal patterns of gene transcription. Analysis of the proteins that activate and repress different enhancers is combined with genetic studies to accurately position these factors within complex signalling networks. 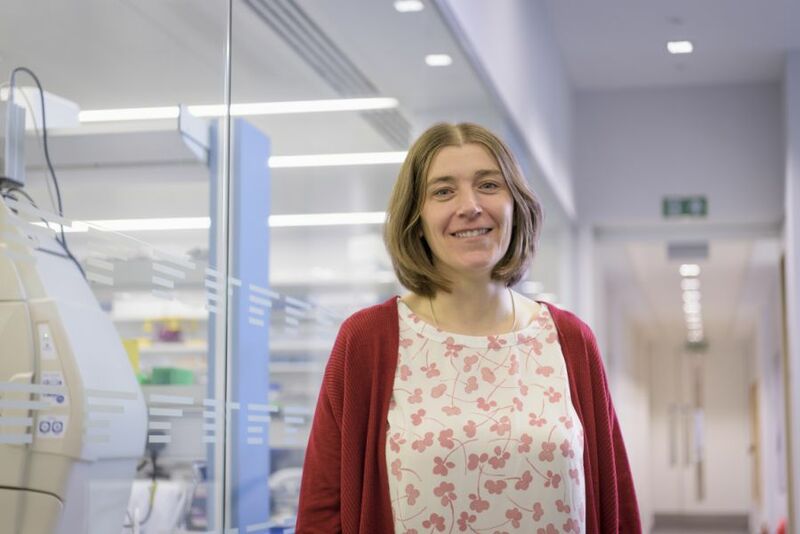 We are using this approach to understand what makes blood vessels molecularly different from each other, to determine the signalling cascades involved at different stages of vessel growth, and to study these processes during tumour formation and growth, and during repair after ischemic injury (e.g. after a heart attack). This work involves a variety of model systems including transgenic mouse and zebrafish, tissue culture and in silico analysis. Venous endothelial cells are molecularly and functionally distinct from their arterial counterparts. Although veins are often considered the default endothelial state, genetic manipulations can modulate both acquisition and loss of venous fate, suggesting that venous identity is the result of active transcriptional regulation. However, little is known about this process. Here we show that BMP signalling controls venous identity via the ALK3/BMPR1A receptor and SMAD1/SMAD5. 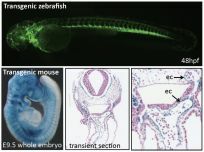 Perturbations to TGF-β and BMP signalling in mice and zebrafish result in aberrant vein formation and loss of expression of the venous-specific gene Ephb4, with no effect on arterial identity. Analysis of a venous endothelium-specific enhancer for Ephb4 shows enriched binding of SMAD1/5 and a requirement for SMAD binding motifs. Further, our results demonstrate that BMP/SMAD-mediated Ephb4 expression requires the venous-enriched BMP type I receptor ALK3/BMPR1A. Together, our analysis demonstrates a requirement for BMP signalling in the establishment of Ephb4 expression and the venous vasculature. The field of vascular biology has gained enormous insight from the use of Cre and inducible Cre mouse models to temporally and spatially manipulate gene expression within the endothelium. Models are available to constitutively or inducibly modulate gene expression in all or a specified subset of endothelial cells. However, caution should be applied to both the selection of allele and the analysis of resultant phenotype: many similarly named Cre models have divergent activity patterns while ectopic or inconsistent Cre or inducible Cre expression can dramatically affect results. In an effort to disambiguate previous data and to provide a resource to aid appropriate experimental design, here we summarize what is known about Cre recombinase activity in the most widely used endothelial-specific Cre and Cre/ERT2 mouse models. The transcriptional mechanism through which chondrocytes control the spatial and temporal composition of the cartilage tissue has remained largely elusive. The central aim of this study was to identify whether transcriptional enhancers played a role in the organisation of the chondrocytes in cartilaginous tissue. We focused on the Aggrecan gene (Acan) as it is essential for the normal structure and function of cartilage and it is expressed developmentally in different stages of chondrocyte maturation. Using transgenic reporter studies in mice we identified four elements, two of which showed individual chondrocyte developmental stage specificity. In particular, one enhancer (-80) distinguishes itself from the others by being predominantly active in adult cartilage. Furthermore, the -62 element uniquely drove reporter activity in early chondrocytes. The remaining chondrocyte specific enhancers, +28 and -30, showed no preference to chondrocyte type. The transcription factor SOX9 interacted with all the enhancers in vitro and mutation of SOX9 binding sites in one of the enhancers (-30) resulted in a loss of its chondrocyte specificity and ectopic enhancer reporter activity. Thus, the Acan enhancers orchestrate the precise spatiotemporal expression of this gene in cartilage types at different stages of development and adulthood. CCN2 is a critical matricellular protein that is expressed in several cells with major implications in physiology and different pathologies. However, the transcriptional regulation of this gene remains obscure. We used the Encyclopaedia of DNA Elements browser (ENCODE) to visualise the region spanning from 300 kb upstream to the CCN2 start site in silico in order to identify enhancer regions that regulate transcription of this gene. Selection was based on three criteria associated with enhancer regions: 1) H3K4me1 and H3K27ac histone modifications, 2) DNase I hypersensitivity of chromatin and 3) inter-species conservation. Reporter constructs were created with sequences spanning each of the regions of interest placed upstream of an Hsp68 silent proximal promoter sequence in order to drive the expression of β-galactosidase transgene. Each of these constructs was subsequently used to create transgenic mice in which reporter gene production was assessed at the E15.5 developmental stage. Four functional enhancers were identified, with each driving distinct, tissue-specific patterns of transgene expression. An enhancer located -100 kb from the CCN2 transcription start site facilitated expression within vascular tissue. An enhancer -135 kb upstream of CCN2 drove expression within the articular chondrocytes of synovial joints. The other two enhancers, located at -198 kb and -229 kb, mediated transgene expression within dermal fibroblasts, however the most prevalent activity was found within hypertrophic chondrocytes and periosteal tissue, respectively. These findings suggest that the global expression of CCN2 during development results from the activity of several tissue-specific enhancer regions in addition to proximal regulatory elements that have previously been demonstrated to drive transcription of the gene during development. Arterial specification and differentiation are influenced by a number of regulatory pathways. While it is known that the Vegfa-Notch cascade plays a central role, the transcriptional hierarchy controlling arterial specification has not been fully delineated. To elucidate the direct transcriptional regulators of Notch receptor expression in arterial endothelial cells, we used histone signatures, DNaseI hypersensitivity and ChIP-seq data to identify enhancers for the human NOTCH1 and zebrafish notch1b genes. These enhancers were able to direct arterial endothelial cell-restricted expression in transgenic models. Genetic disruption of SoxF binding sites established a clear requirement for members of this group of transcription factors (SOX7, SOX17 and SOX18) to drive the activity of these enhancers in vivo Endogenous deletion of the notch1b enhancer led to a significant loss of arterial connections to the dorsal aorta in Notch pathway-deficient zebrafish. Loss of SoxF function revealed that these factors are necessary for NOTCH1 and notch1b enhancer activity and for correct endogenous transcription of these genes. These findings position SoxF transcription factors directly upstream of Notch receptor expression during the acquisition of arterial identity in vertebrates. Podocin is a key protein of the kidney podocyte slit diaphragm protein complex, an important part of the glomerular filtration barrier. Mutations in the human podocin gene NPHS2 cause familial or sporadic forms of renal disease owing to the disruption of filtration barrier integrity. The exclusive expression of NPHS2 in podocytes reflects its unique function and raises interesting questions about its transcriptional regulation. 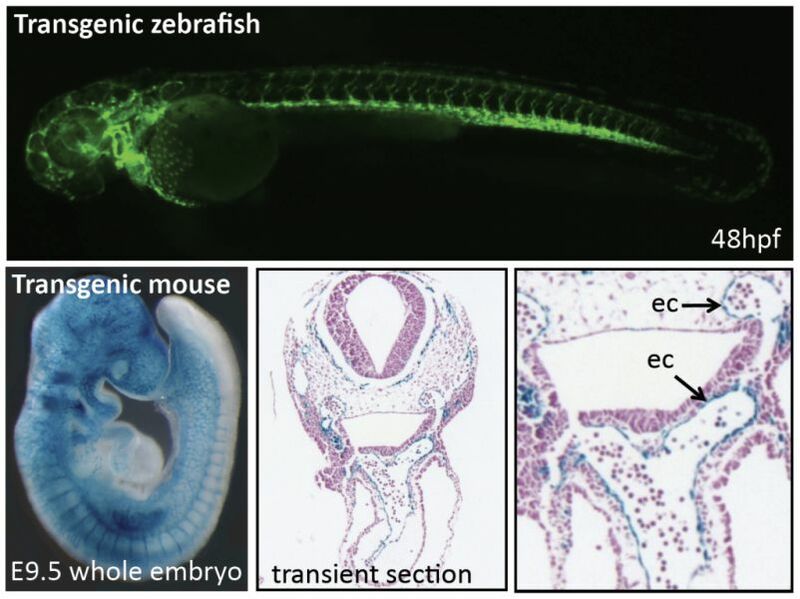 Here, we further define a 2.5-kb zebrafish nphs2 promoter fragment previously described and identify a 49-bp podocyte-specific transcriptional enhancer using Tol2-mediated G0 transgenesis in zebrafish. Within this enhancer, we identified a cis-acting element composed of two adjacent DNA-binding sites (FLAT-E and forkhead) bound by transcription factors Lmx1b and FoxC. In zebrafish, double knockdown of Lmx1b and FoxC orthologs using morpholino doses that caused no or minimal phenotypic changes upon individual knockdown completely disrupted podocyte development in 40% of injected embryos. Co-overexpression of the two genes potently induced endogenous nphs2 expression in zebrafish podocytes. We found that the NPHS2 promoter also contains a cis-acting Lmx1b-FoxC motif that binds LMX1B and FoxC2. Furthermore, a genome-wide search identified several genes that carry the Lmx1b-FoxC motif in their promoter regions. Among these candidates, motif-driven podocyte enhancer activity of CCNC and MEIS2 was functionally analyzed in vivo. Our results show that podocyte expression of some genes is combinatorially regulated by two transcription factors interacting synergistically with a common enhancer. This finding provides insights into transcriptional mechanisms required for normal and pathologic podocyte functions. Endothelin-converting enzyme-1 (Ece-1), a crucial component of the Endothelin signaling pathway, is required for embryonic development and is an important regulator of vascular tone, yet the transcriptional regulation of the ECE1 gene has remained largely unknown. Here, we define the activity and regulation of an enhancer from the human ECE1 locus in vivo. The enhancer identified here becomes active in endothelial progenitor cells shortly after their initial specification and is dependent on a conserved FOX:ETS motif, a composite binding site for Forkhead transcription factors and the Ets transcription factor Etv2, for activity in vivo. The ECE1 FOX:ETS motif is bound and cooperatively activated by FoxC2 and Etv2, but unlike other described FOX:ETS-dependent enhancers, ECE1 enhancer activity becomes restricted to arterial endothelium and endocardium by embryonic day 9.5 in transgenic mouse embryos. The ECE1 endothelial enhancer also contains an evolutionarily-conserved, consensus SOX binding site, which is required for activity in transgenic mouse embryos. Importantly, the ECE1 SOX site is bound and activated by Sox17, a transcription factor involved in endothelial cell differentiation and an important regulator of arterial identity. Moreover, the ECE1 enhancer is cooperatively activated by the combinatorial action of FoxC2, Etv2, and Sox17. Although Sox17 is required for arterial identity, few direct transcriptional targets have been identified in endothelial cells. Thus, this work has important implications for our understanding of endothelial specification and arterial subspecification. Robinson AS, De Val S, Shen-Mei X, Black BL. 2013. Transcriptional control of an arterial-specific enhancer from the endothelin converting enzyme-1 gene	ANGIOGENESIS,	16	(1),	pp. 255-256. The formation of the vasculature depends on the precise spatial and temporal control of gene expression to define endothelial cell identity and to ensure the correct distribution and structure of the forming vessel network. This review provides an overview of the establishment of the vascular system, accompanied by a detailed discussion of the transcription factors involved in regulating endothelial gene expression during vasculogenesis and early vessel formation in both fish and mammalian systems. We also review the transcriptional pathways lying both upstream and downstream of key vascular transcription factors. Appendage regeneration in salamanders and fish occurs through formation and maintenance of a mass of progenitor tissue called the blastema. A dedicated epidermis overlays the blastema and is required for its proliferation and patterning, yet this interaction is poorly understood. Here, we identified molecularly and functionally distinct compartments within the basal epidermal layer during zebrafish fin regeneration. Proximal epidermal subtypes express the transcription factor lef1 and the blastemal mitogen shh, while distal subtypes express the Fgf target gene pea3 and wnt5b, an inhibitor of blastemal proliferation. Ectopic overexpression of wnt5b reduced shh expression, while pharmacologic introduction of a Hh pathway agonist partially rescued blastemal proliferation during wnt5b overexpression. Loss- and gain-of-function approaches indicate that Fgf signaling promotes shh expression in proximal epidermis, while Fgf/Ras signaling restricts shh expression from distal epidermis through induction of pea3 expression and maintenance of wnt5b. Thus, the fin wound epidermis spatially confines Hh signaling through the activity of Fgf and Wnt pathways, impacting blastemal proliferation during regenerative outgrowth. The human concentrative nucleoside transporter 2 (CNT2) plays an important role in the absorption, disposition, and biological effects of endogenous nucleosides and nucleoside analog drugs. We identified genetic variation in the basal promoter region of CNT2 and characterized the function of the variants. We screened DNA from an ethnically diverse population and identified five basal promoter variants in CNT2. Three major haplotypes in the CNT2 basal promoter region were identified and were found at different allele frequencies in various ethnic groups. The common promoter variants and haplotypes were constructed and characterized for their promoter activity using luciferase reporter assays. One polymorphic variant, rs2413775 (-146T>A), with an allele frequency >20% in all populations, showed a gain of function in luciferase activity. Furthermore, in vivo mouse promoter assays of these nucleotide variants using the hydrodynamic tail vein injection, leading to their expression in the liver, demonstrated similar results. Transcription factor binding site (TFBS) analysis indicated this variant alters a hepatic nuclear factor (HNF) 1 TFBS. Electrophoretic mobility shift assay demonstrated stronger binding of HNF1alpha and weaker binding of HNF1beta to the -146T and -146A regions, whereas the single nucleotide polymorphism (SNP), -146A, exhibited enhanced binding to both HNF1alpha and HNF1beta, consistent with its greater activity in reporter assays. The data collectively suggest that the common variant, -146T>A, in the proximal promoter of CNT2 may result in an enhanced transcription rate of the gene and, thus, expression levels of CNT2. This SNP may play a role in variation in the pharmacokinetics and pharmacological effects of nucleoside analogs. The transcription factors that regulate endothelial cell development have been a focus of active research for several years, and many players in the endothelial transcriptional program have been identified. This review discusses the function of several major regulators of endothelial transcription, including members of the Sox, Ets, Forkhead, GATA, and Kruppel-like families. This review also highlights recent developments aimed at unraveling the combinatorial mechanisms and transcription factor interactions that regulate endothelial cell specification and differentiation during vasculogenesis and angiogenesis. A main function of white adipose tissue is to release fatty acids from stored triacylglycerol for other tissues to use as an energy source. Whereas endocrine regulation of lipolysis has been extensively studied, autocrine and paracrine regulation is not well understood. Here we describe the role of the newly identified major adipocyte phospholipase A(2), AdPLA (encoded by Pla2g16, also called HREV107), in the regulation of lipolysis and adiposity. AdPLA-null mice have a markedly higher rate of lipolysis owing to increased cyclic AMP levels arising from the marked reduction in the amount of adipose prostaglandin E(2) that binds the Galpha(i)-coupled receptor, EP3. AdPLA-null mice have markedly reduced adipose tissue mass and triglyceride content but normal adipogenesis. They also have higher energy expenditure with increased fatty acid oxidation within adipocytes. AdPLA-deficient ob/ob mice remain hyperphagic but lean, with increased energy expenditure, yet have ectopic triglyceride storage and insulin resistance. AdPLA is a major regulator of adipocyte lipolysis and is crucial for the development of obesity. Identifying the sequences that direct the spatial and temporal expression of genes and defining their function in vivo remains a significant challenge in the annotation of vertebrate genomes. One major obstacle is the lack of experimentally validated training sets. In this study, we made use of extreme evolutionary sequence conservation as a filter to identify putative gene regulatory elements, and characterized the in vivo enhancer activity of a large group of non-coding elements in the human genome that are conserved in human-pufferfish, Takifugu (Fugu) rubripes, or ultraconserved in human-mouse-rat. We tested 167 of these extremely conserved sequences in a transgenic mouse enhancer assay. Here we report that 45% of these sequences functioned reproducibly as tissue-specific enhancers of gene expression at embryonic day 11.5. While directing expression in a broad range of anatomical structures in the embryo, the majority of the 75 enhancers directed expression to various regions of the developing nervous system. We identified sequence signatures enriched in a subset of these elements that targeted forebrain expression, and used these features to rank all approximately 3,100 non-coding elements in the human genome that are conserved between human and Fugu. The testing of the top predictions in transgenic mice resulted in a threefold enrichment for sequences with forebrain enhancer activity. These data dramatically expand the catalogue of human gene enhancers that have been characterized in vivo, and illustrate the utility of such training sets for a variety of biological applications, including decoding the regulatory vocabulary of the human genome. The vertebrate heart arises from the fusion of bilateral regions of anterior mesoderm to form a linear heart tube. Recent studies in mouse and chick have demonstrated that a second cardiac progenitor population, known as the anterior or secondary heart field, is progressively added to the heart at the time of cardiac looping. While it is clear that this second field contributes to the myocardium, its precise boundaries, other lineages derived from this population, and its contributions to the postnatal heart remain unclear. In this study, we used regulatory elements from the mouse mef2c gene to direct the expression of Cre recombinase exclusively in the anterior heart field and its derivatives in transgenic mice. By crossing these mice, termed mef2c-AHF-Cre, to Cre-dependent lacZ reporter mice, we generated a fate map of the embryonic, fetal, and postnatal heart. These studies show that the endothelial and myocardial components of the outflow tract, right ventricle, and ventricular septum are derivatives of mef2c-AHF-Cre expressing cells within the anterior heart field and its derivatives. These studies also show that the atria, epicardium, coronary vessels, and the majority of outflow tract smooth muscle are not derived from this anterior heart field population. Furthermore, a transgene marker specific for the anterior heart field is expressed in the common ventricular chamber in mef2c mutant mice, suggesting that the cardiac looping defect in these mice is not due to a failure in anterior heart field addition to the heart. Finally, the Cre transgenic mice described here will be a crucial tool for conditional gene inactivation exclusively in the anterior heart field and its derivatives. The human and mouse genes that code for the alpha2 chain of collagen I (COL1A2 and Col1a2, respectively) share a common chromatin structure and nearly identical proximal promoter and far upstream enhancer sequences. Despite these homologies, species-specific differences have been reported regarding the function of individual cis-acting elements, such as the first intron sequence. In the present study, we have investigated the transcriptional contribution of the unique open chromatin site in the first intron of COL1A2 using a transgenic mouse model. DNase I footprinting identified a cluster of three distinct areas of nuclease protection (FI1-3) that span from nucleotides +647 to +760, relative to the transcription start site, and which contain consensus sequences for GATA and interferon regulatory factor (IRF) transcription factors. Gel mobility shift and chromatin immunoprecipitation assays corroborated this last finding by documenting binding of GATA-4 and IRF-1 and IRF-2 to the first intron sequence. Moreover, a short sequence encompassing the three footprints was found to inhibit expression of transgenic constructs containing the COL1A2 proximal promoter and far upstream enhancer in a position-independent manner. Mutations inserted into each of the footprints restored transgenic expression to different extents. These results therefore indicated that the unique open chromatin site of COL1A2 corresponds to a repressor, the activity of which seems to be mediated by the concerted action of GATA and IRF proteins. More generally, the study reiterated the existence of species-specific difference in the regulatory networks of the mammalian alpha2(I) collagen coding genes. The GATA family of zinc-finger transcription factors plays key roles in the specification and differentiation of multiple cell types during development. GATA4 is an early regulator of gene expression during the development of endoderm and mesoderm, and genetic studies in mice have demonstrated that GATA4 is required for embryonic development. Despite the importance of GATA4 in tissue specification and differentiation, the mechanisms by which Gata4 expression is activated and the transcription factor pathways upstream of GATA4 remain largely undefined. To identify transcriptional regulators of Gata4 in the mouse, we screened conserved noncoding sequences from the mouse Gata4 gene for enhancer activity in transgenic embryos. Here, we define the regulation of a distal enhancer element from Gata4 that is sufficient to direct expression throughout the lateral mesoderm, beginning at 7.5 days of mouse embryonic development. The activity of this enhancer is initially broad but eventually becomes restricted to the mesenchyme surrounding the liver. We demonstrate that the function of this enhancer in transgenic embryos is dependent upon highly conserved Forkhead and GATA transcription factor binding sites, which are bound by FOXF1 and GATA4, respectively. Furthermore, the activity of the Gata4 lateral mesoderm enhancer is attenuated by the BMP antagonist Noggin, and the enhancer is not activated in Bmp4-null embryos. Thus, these studies establish that Gata4 is a direct transcriptional target of Forkhead and GATA transcription factors in the lateral mesoderm, and demonstrate that Gata4 lateral mesoderm enhancer activation requires BMP4, supporting a model in which GATA4 serves as a downstream effector of BMP signaling in the lateral mesoderm. Members of the Myocyte Enhancer Factor 2 (MEF2) family of transcription factors play key roles in the development and differentiation of numerous cell types during mammalian development, including the vascular endothelium. Mef2c is expressed very early in the development of the endothelium, and genetic studies in mice have demonstrated that mef2c is required for vascular development. However, the transcriptional pathways involving MEF2C during endothelial cell development have not been defined. As a first step towards identifying the transcriptional factors upstream of MEF2C in the vascular endothelium, we screened for transcriptional enhancers from the mouse mef2c gene that regulate vascular expression in vivo. In this study, we identified a transcriptional enhancer from the mouse mef2c gene sufficient to direct expression to the vascular endothelium in transgenic embryos. This enhancer is active in endothelial cells within the developing vascular system from very early stages in vasculogenesis, and the enhancer remains robustly active in the vascular endothelium during embryogenesis and in adulthood. This mef2c endothelial cell enhancer contains four perfect consensus Ets transcription factor binding sites that are efficiently bound by Ets-1 protein in vitro and are required for enhancer function in transgenic embryos. Thus, these studies identify mef2c as a direct transcriptional target of Ets factors via an evolutionarily conserved transcriptional enhancer and establish a direct link between these two early regulators of vascular gene expression during endothelial cell development in vivo. The HRC gene encodes the histidine-rich calcium-binding protein, which is found in the lumen of the junctional sarcoplasmic reticulum (SR) of cardiac and skeletal muscle and within calciosomes of arterial smooth muscle. The expression of HRC in cardiac, skeletal, and smooth muscle raises the possibility of a common transcriptional mechanism governing its expression in all three muscle cell types. In this study, we identified a transcriptional enhancer from the HRC gene that is sufficient to direct the expression of lacZ in the expression pattern of endogenous HRC in transgenic mice. The HRC enhancer contains a small, highly conserved sequence that is required for expression in all three muscle lineages. Within this conserved region is a consensus site for myocyte enhancer factor 2 (MEF2) proteins that we show is bound efficiently by MEF2 and is required for transgene expression in all three muscle lineages in vivo. Furthermore, the entire HRC enhancer sequence lacks any discernible CArG motifs, the binding site for serum response factor (SRF), and we show that the enhancer is not activated by SRF. Thus, these studies identify the HRC enhancer as the first MEF2-dependent, CArG-independent transcriptional target in smooth muscle and represent the first analysis of the transcriptional regulation of an SR gene in vivo. Studies using transgenic mice have shown that the mouse pro-alpha2(I) collagen gene contains a far-upstream enhancer, which directs expression in the majority of collagen I-producing cells during development and in response to tissue injury. In this study, we have investigated the minimal functional region required for the enhancer effect and studied the role of the three hypersensitive sites (HS3-HS5) that overlap this region. The results of deletion experiments indicate that the minimal functional unit of this enhancer is a 1.5-kb region between -17.0 and -15.45 kb from the transcription start site. This region includes the core sequences of HS3 and HS4 but not HS5. The HS4 sequences are essential for the functional integrity of the enhancer, whereas HS3 represents tissue-specific elements that direct expression in mesenchymal cells of internal tissues and body wall muscles. The HS3 region appears to bind a complex of transcription factors illustrated by large regions of protected sequences. A 400-bp sequence located between -17.0 and -16.6 is also essential for the enhancer because its deletion results in increased susceptibility to the chromatin environment. Ponticos M, De Val S, Black CM, Bou-Gharios G, London DA. 2001. Separate cis-acting elements in the far upstream enhancer of the mouse pro alpha 2(I) collagen (col 1 alpha 2) gene drive tissue specific expression. ARTHRITIS AND RHEUMATISM,	44	(12),	pp. 2948-2948. We have examined the chromatin structure around and upstream of the transcriptional start site of the human alpha2(I) collagen (COL1A2) gene. Four strong DNase I-hypersensitive sites (HS2-5) were only detected in fibroblasts, and a weaker one (HS1) was identified in type I collagen-negative cells. Another hypersensitive site potentially involved in COL1A2 silencing was found in intron 1 (HS(In)). HS1 and HS2 were mapped within conserved promoter sequences and at locations comparable to the mouse gene. HS3, HS4, and HS5 were likewise mapped approximately 20 kilobases upstream of COL1A2 at about the same position as the mouse far-upstream enhancer and within a remarkably homologous genomic segment. DNase I footprinting identified twelve areas of nuclease protection in the far-upstream region (FU1-12) and within stretches nearly identical to the mouse sequence. The region containing HS3-5 was found to confer high and tissue-specific expression in transgenic mice to the otherwise minimally active COL1A2 promoter. Characterization of the human element documented functional differences with the mouse counterpart. Enhancer activity substantially decreased without the segment containing FU1-7 and HS5, and inclusion of AluI repeats located 3' of HS3 augmented position-independent expression of the transgene. Hence, subtle differences may characterize the regulation of mammalian alpha2(I) collagen genes by evolutionarily conserved sequences.